I thought I would share with you today what I’ve been ordering on Amazon lately. First, if you are not an Amazon Prime member, you need to head HERE immediately and sign up! We save so much money and time by ordering through Amazon and your Prime membership allows you to have free 2 day shipping. Perfect for busy moms! Ok, what I’ve been priming lately! THIS appliance cleaner! I use this Lemi Shine Appliance Cleaner for our washing machine and dishwasher once a month. I have tried several brands and this one works the best! Our refrigerator notified us it was time to change the air filter and water filter. We ordered the air filter and water filter and had them in 2 days! Easy peasy! They carry several brands so hopefully you can find the ones to fit your fridge. 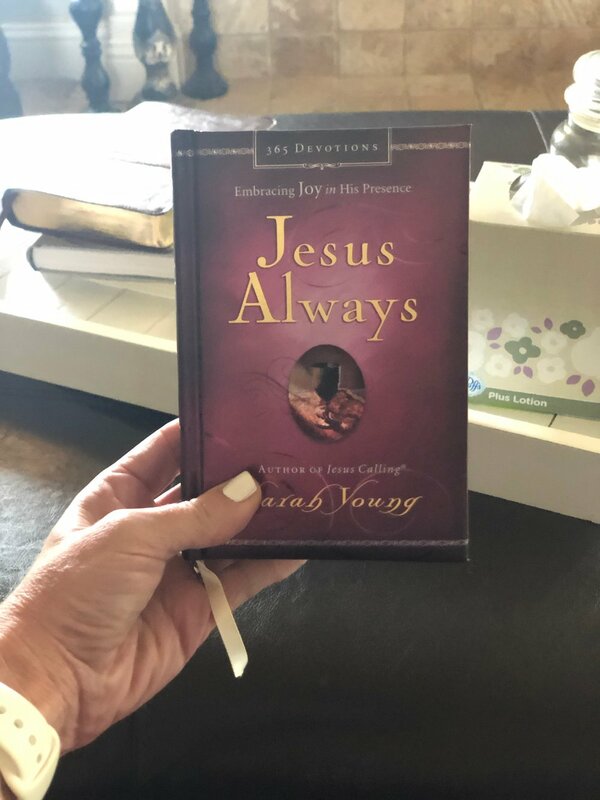 I ordered this new Jesus Always daily devotional at the beginning of January. I really like it so far! I read the devotion for each day during my morning quiet time. I also ordered It’s Not Supposed to Be This Way by Lysa Terkeurst. I’m only on chapter 2 but I can tell this one is going to be good! I’ll have it in my February book review post! I needed some new stationary so I ordered a few sets of cards. I love these Bible Verse Quote cards. These polka dot and striped design cards are so cute! Both sets are blank inside so you can use for thank you notes, thinking of you, encouragement, or any other occasion! Paper Mate Flair Pens are my absolute favorite to use for writing! They don’t smear or bleed through your paper and they write very smoothly. If you are a pen nerd like me, you need THESE! And in my cart currently, is this Health Priority Vitamin E oil. I have heard great reviews on using this with your moisturizer. Let me know if you use it and if I should hit the order button! I’m still debating!